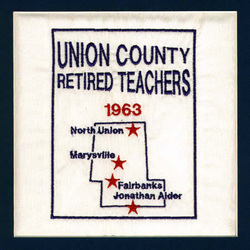 On August 6, 1963, a group of retired teachers met at the American Legion Memorial Building on West 5th Street, in Marysville and founded the Union County Retired Teachers Association. There were 34 chapter charter members, of which 25 were life members of the Ohio Retired Teachers Association. In 1994, a committee consisting of Jim Shaw and Dorothy Myers was appointed to establish a scholarship foundation. This was accomplished and put in place during the 1994 term and continues to grow. The scholarship awarded by the chapter, and the volunteer hours spent contributing to the community, are two of the primary projects of this chapter. During the existence of UCRTA, the members have supported the ORTA in legislative actions under the leadership of our Legislative Committee. Everyone is welcome at UCRTA.